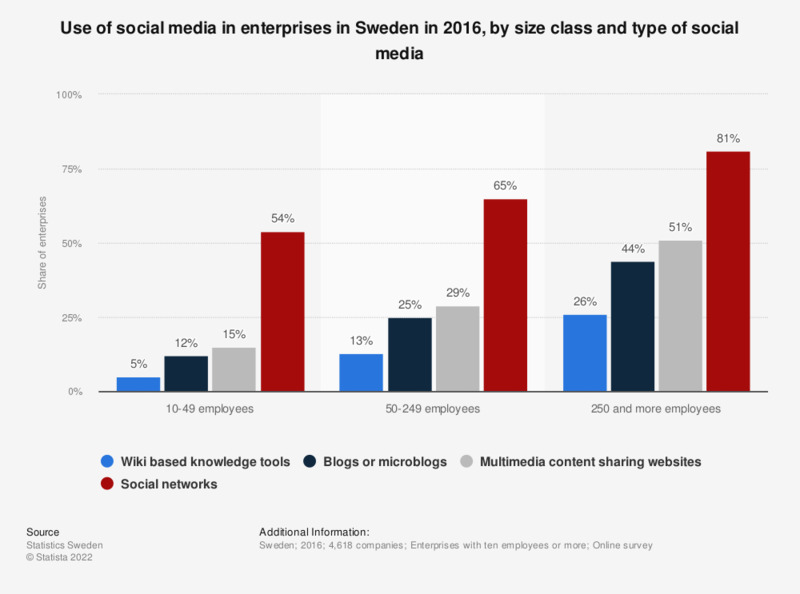 This statistic displays the use of social media in enterprises in Sweden in 2016, by company size class and type of social media. Usage of social networks like Facebook or LinkedIn was the most popular social media strategy among Swedish companies of all size. 51 percent of companies with 50-249 employees used multimedia content sharing websites like Youtube.